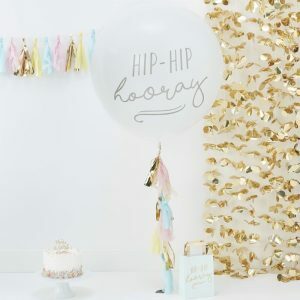 Engagement Party Decorations + Ideas | Celebrate in Style! What party would be complete without balloons? 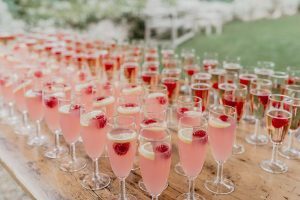 Certainly not your engagement party that’s for sure! 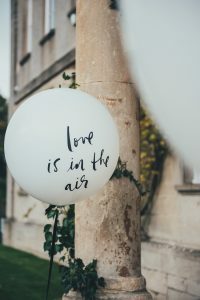 Although party balloons can be tacky, when done right they can add a really cool touch to your engagement party venue. 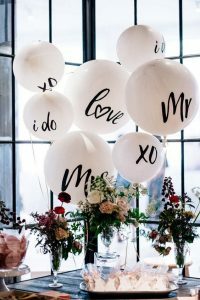 Engagement party decorations should be just as fun as the party you’re planning so balloons are the perfect accessory. 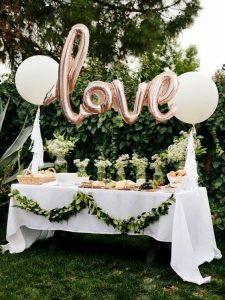 You can also use balloons to add to your engagement party decorations further and create a balloon arch. Bunting or banners are a great way to shout whatever it is you’re thinking! 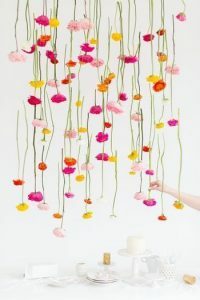 They are easy, low-maintenance engagement party decorations, simply choose your message, string up and enjoy! 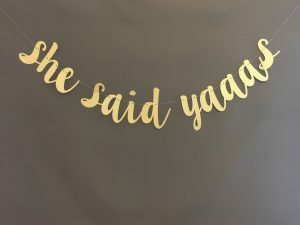 Whether you’d like to put your names on bunting, a big ‘congratulations’ or get creative with your sense of humour and go for something like ‘FINALLY engaged!’ or ‘He/she put a ring on it!’. 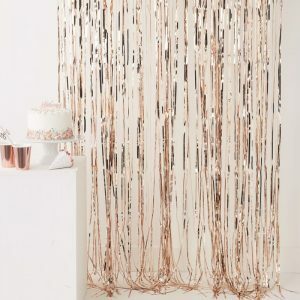 You may hire a photographer to photograph your engagement party but maybe they are only photographing a couple of hours and you’d like some engagement party decorations that make ideal selfie backdrops for when the photographer leaves. 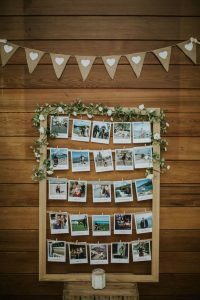 There are loads of DIY selfie backdrop tutorials on Pinterest so I definitely suggest checking them out, you can view my engagement party decorations Pinterest board here which features a couple. 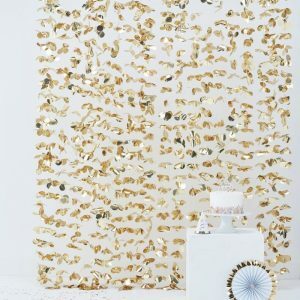 Maybe your engagement party venue walls need a bit of spicing up? Selfie backdrops are ideal for covering unused walls or ugly features. Just because why the hell not?! Party poppers are so much fun and as a photographer, capturing people’s shocked reactions to them is priceless. 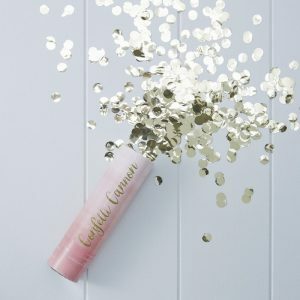 Somewhat unintentional engagement party decorations because think of the beautiful, glittery sea of confetti on the floor afterwards! 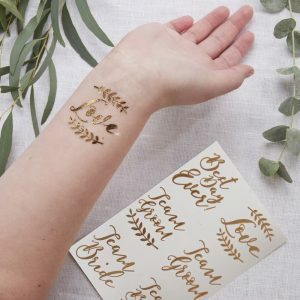 Such a fab idea to physically brand your guests with an engagement-party-specific temporary tattoo. Maybe everyone that enters the engagement party venue gets given a temporary tattoo and that is the way people are identified as party guests? Or maybe you want to leave a lasting reminder of the night before on the bodies of your guests for when they wake up the next day? 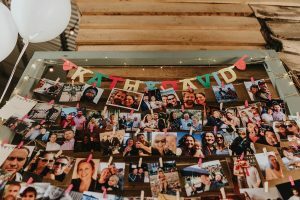 I love these as engagement party decorations and you can even get personalised temporary tattoos; you could put the date of your party, your names e.g. ‘Ben + Sophie are Getting Hitched!’ or even your actual faces… yes this is a thing! Hilarious. Mmmmm… this section has got my tastebuds tingling. 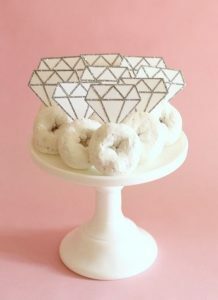 Parties are all about food, drink, dancing and good times so why not get inventive with your sweet treats and instead of having a standard engagement party cake, go for a tower of doughnuts, cake pops or gummy sweet kebabs. 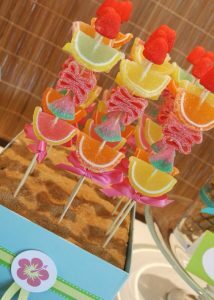 Keep that sugar rush at a high and ply your guests with loads of sugar! 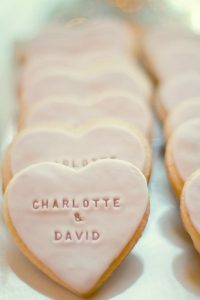 Sweets are great for kids (as long as you don’t want them to sleep) and if you lose sight of them, you’ll always know where they’ll be with sweet treats around, chances are they’ll be glued to that area! The great thing about sweet treats also is that a lot of things can be made at home so if you consider yourself a pretty handy baker then have a go at making tings yourself, great fun at the same time too. So maybe you’ve had an engagement photoshoot with a photographer to celebrate your engagement, or you’d just like to share some super cute photos of the two of you showing your journey as a couple to this point, you’re gonna’ want some great ways to display these photos. 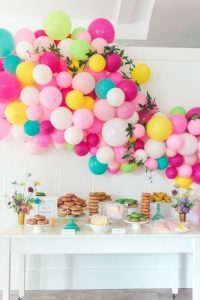 I love the idea of having helium balloons as engagement party decorations and your photos hanging from them or you could go for a more classic approach and peg them to string hung in an empty photo frame as engagement party decorations. Whichever way you choose, your engagement party is all about celebrating the love between you guys so show yourselves off! 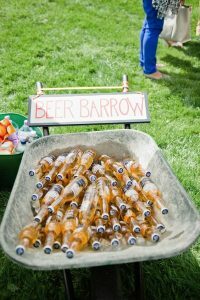 Whether you’re having an engagement party at your house with a homemade buffet, an engagement party at a venue local to you or perhaps a garden party or engagement BBQ, there are so many scruffy food options to cater for you and your guests. Food is my favourite subject (although it shouldn’t be, I just can’t help it!) 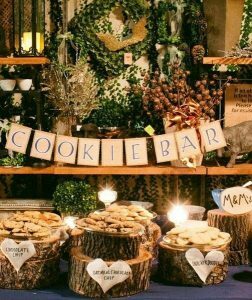 So I’m going to prise my own hands off the keyboard because I could be here hours writing about it, and instead direct you to the engagement party decorations photos on the right where you’ll find loads of delicious ideas. Perhaps hiring in catering is an option for you and if so then there are some amazing food trucks around (especially in the Essex area which is where I’m from) so check out the bottom of this page for some recommendations from myself. 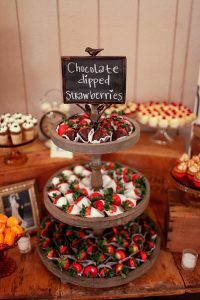 Treat your food as engagement party decorations too and really go for the ‘wow factor’. 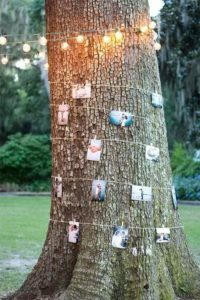 I hope you’ve found these engagement party decorations useful, you can find more engagement party decorations inspo on my Pinterest page and if you use any of them as inspiration for your engagement party send me some photos, I’d love to see!